POSBANK will present newest retail POS solutions including checkout solution, retail tablet solution and compact POS solution at NRF Retail's Big Show from January 14th-16th. POSBANK Co., Ltd., a global leading provider of Point of Sale solutions, will showcase its newest retail POS products and solutions in Booth #1003 at National Retail Federation Retail's Big Show. At this year’s show, POSBANK will present Point of Sale solutions to enable retailers to maximize operation efficiency and enhance customer experiences. For a retail POS solution, a supermarket POS solution will be a highlight on the show floor. The E-Gate™, IO expansion box, is the ideal device for retailers who want the simplest and easiest operation or maintenance of POS terminals. POSBANK's Android-based and all-in-one POS Terminal, the DCR™ A1, will be showcased for businesses in both retail and hospitality segments. The DCR™ A1, with a built-in printer and integrated peripherals, will allow business owners to take advantage of streamlined operation and reduced cost. Mobile retail solutions, featuring 10-inch and 8-inch rugged tablets supporting both Windows and Android OS, will be used as a compact Point of Sale device and enhance customer services on the shop floor. 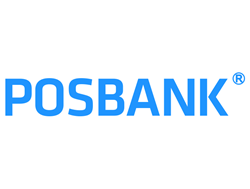 To learn more about POSBANK and POSBANK’s Point of Sale solutions, visit http://www.posbankusa.com and contact us at sales(at)posbankusa.com. POSBANK is a leading global provider of Point of Sale solutions serving more than 200 customers in over 80 countries around the world. Based on customer-focused engineering and over 23 years’ of experience, POSBANK offers a wide range of POS terminals, touchscreen monitors, POS printers, peripherals and POS software for hospitality and retail industries. Currently POSBANK focuses more on innovative POS terminals and custom solutions that meet specific needs of various global customers.